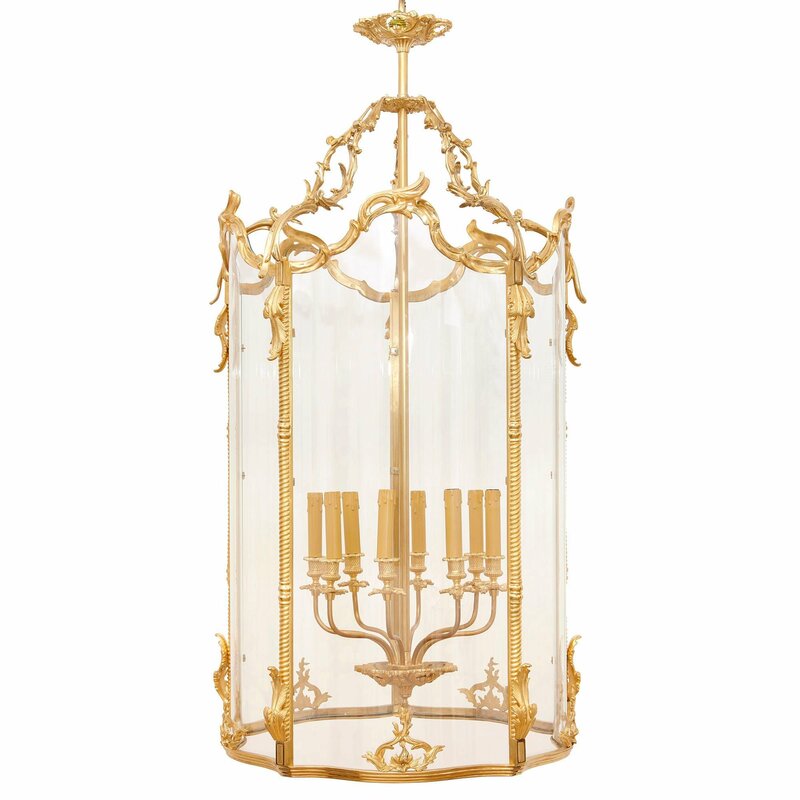 This hall lantern is notable for its large scale and beautiful design, with its glass body and finely cast Louis XV style ormolu candle-holders and frame. The lantern has been crafted on an impressively large scale. 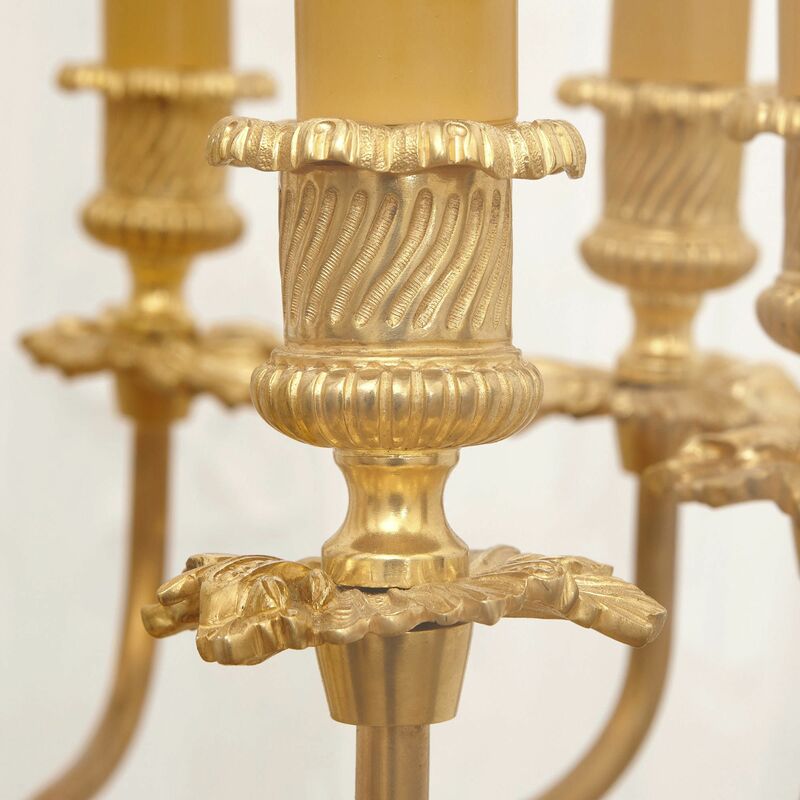 It is composed of a cylindrical glass body, which encloses an ormolu (gilt bronze) candelabrum. 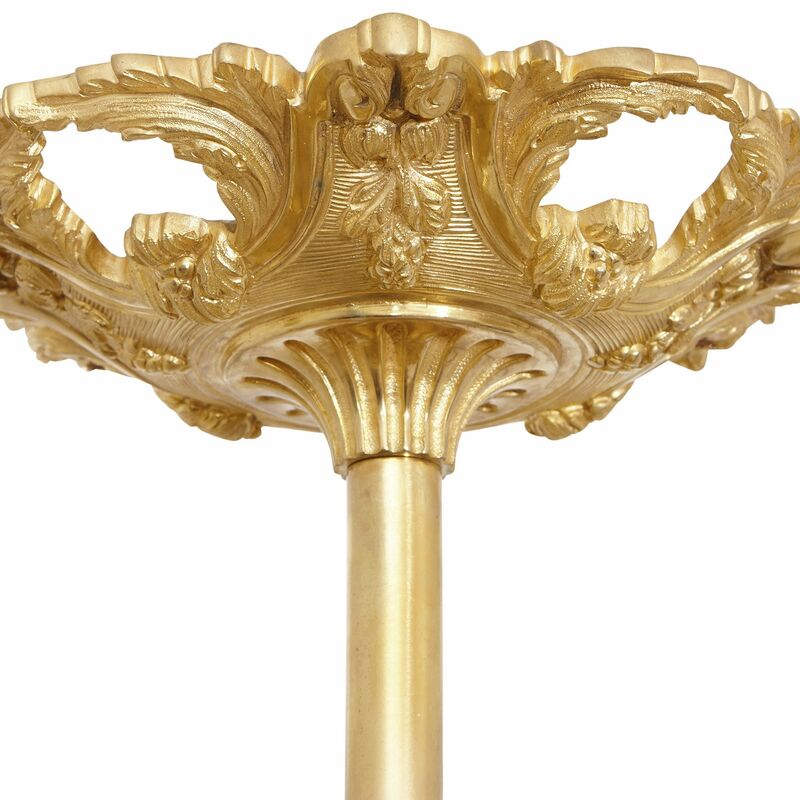 This features eight lights which spring from a foliate dish with an acorn finial, and terminate in leafy drip-pans, urn-shaped capitals and orange candle tubes. 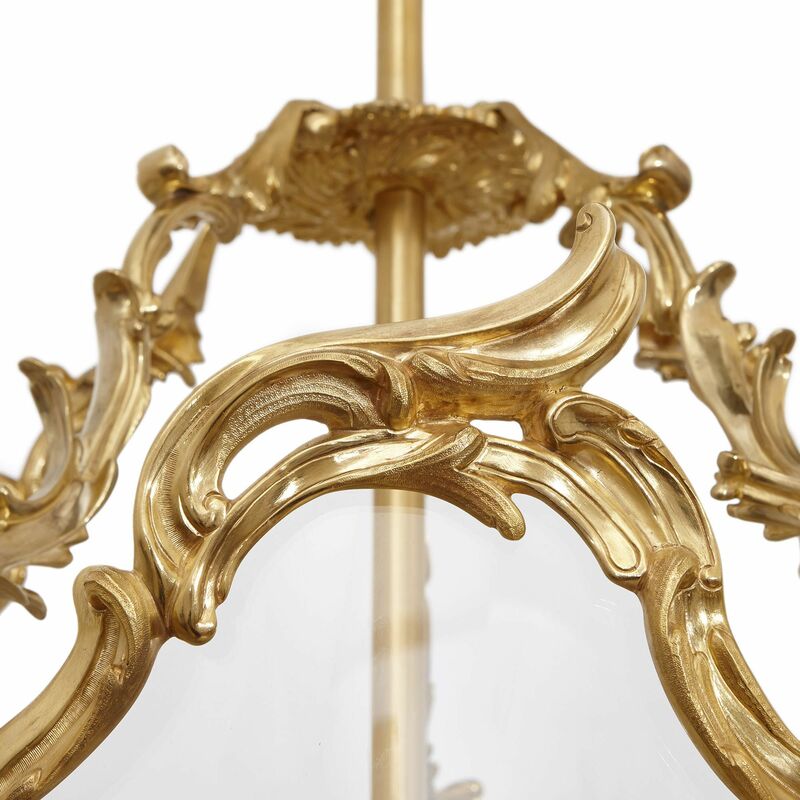 The lantern’s glass body is mounted with ormolu twisted columns, with acanthus leaf bases and tops, and decorative foliate motifs between them. 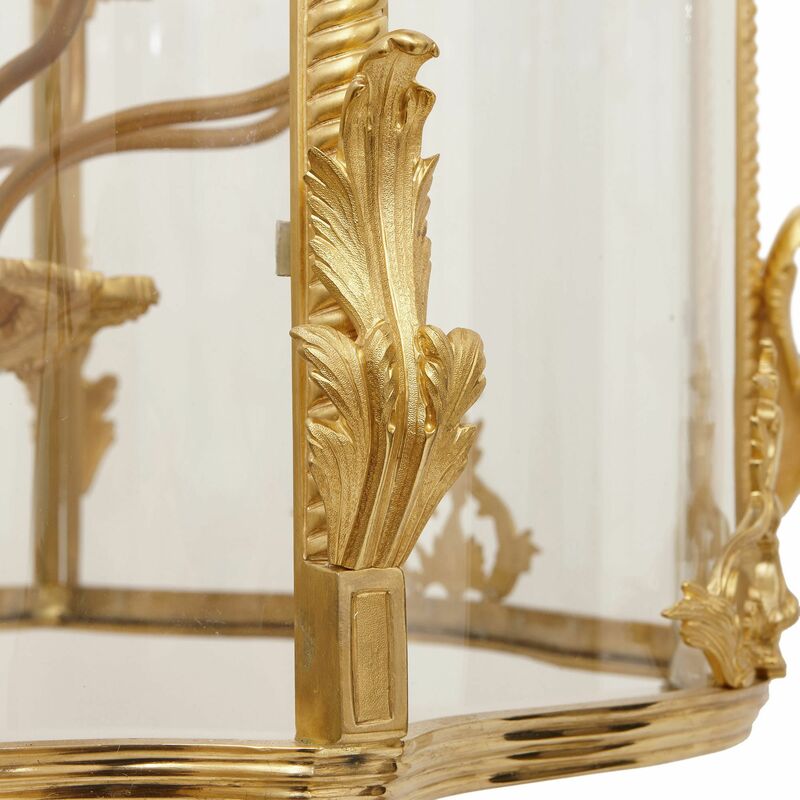 The top of the lantern is shaped and edged with leafy ormolu forms. 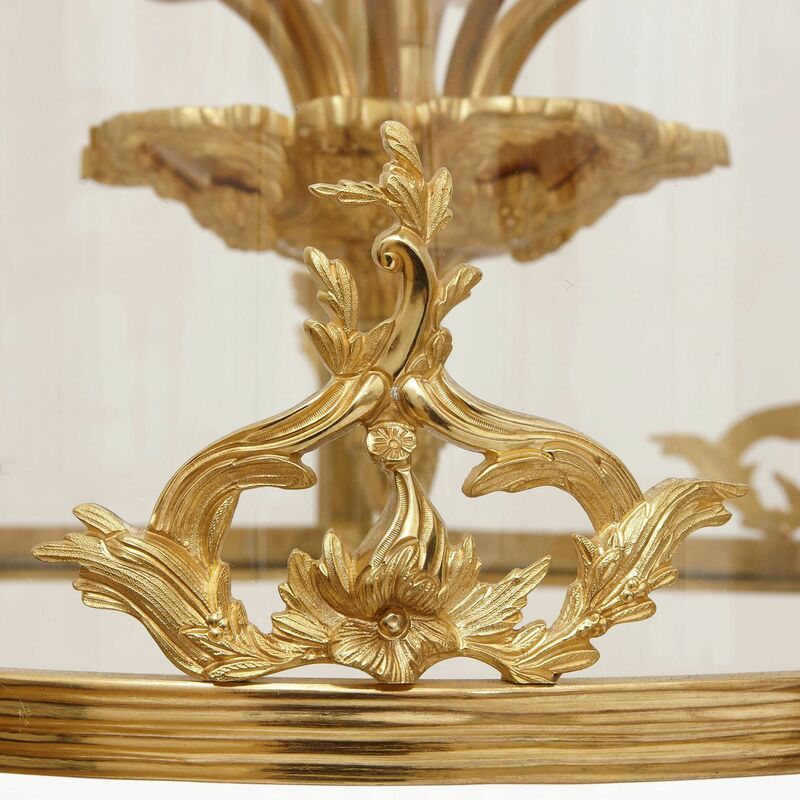 The lantern’s top is fitted with four foliate branches, which meet at a centre point around the central stem support. This stem has a foliate top canopy where it meets the ceiling. This lantern has been finely gilt, creating lustrous gold surfaces which will catch the light produced by the candelabrum. 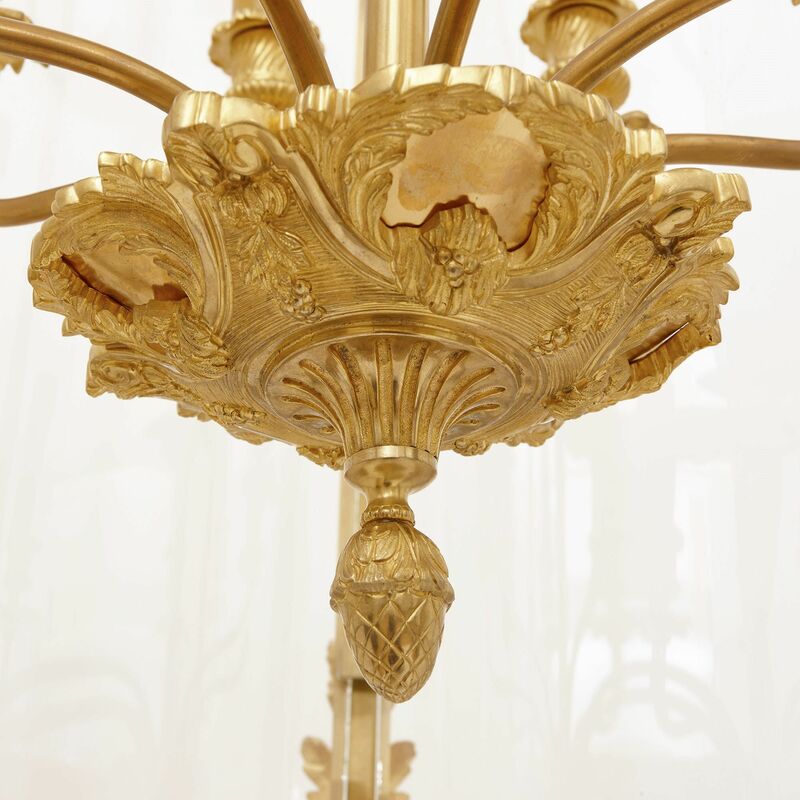 The piece will look magnificent suspended from the ceiling of a grand, well-furnished room.